I was lucky enough to have a place to cycle in the first Ride London-Surrey 100, a 100 mile road bike race to celebrate the legacy of the London 2012 Olympic Games. 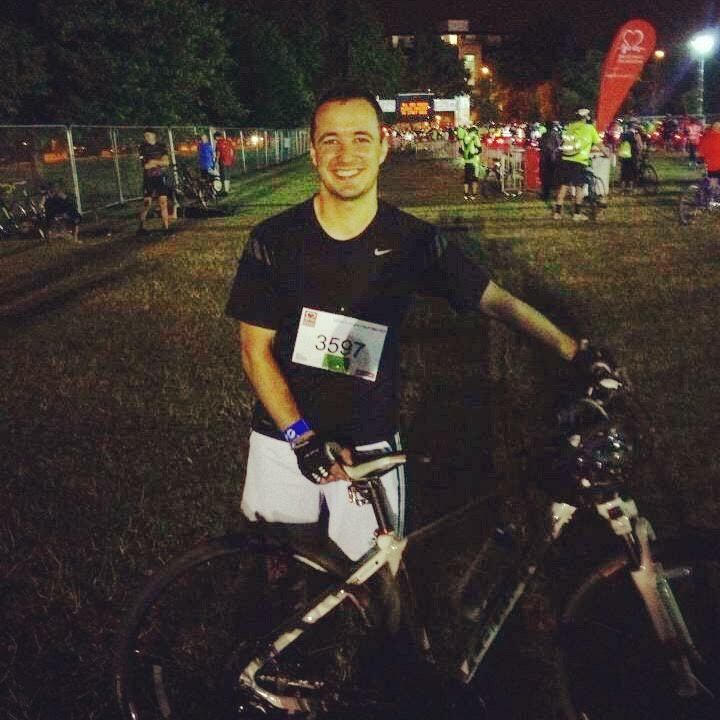 Having never embarked on a charity fundraising effort before, I made decision to go for it this time and chose to ride for charity, and chose to raise money for Shelter, the housing and homeless charity. I set about asking friends and family to support me, and was overwhelmed by how many people donated to my cause. I stuck to the traditional method of online fundraising with a giving page set up for online payments. I also managed to score some free top of the range equipment to complete my charity challenge, with gels, chamois cream and a cycling gloves. I stayed in a hotel near the start line, as even though I only live 20 miles away I didn’t want to add any unnecessary extra miles to the 100 I was already signed up to do. On the morning of the race, there was a great buzz on the roads as hundreds of cyclists made their way to the start line, for once dominating the cars on the road. The sheer numbers of riders meant that we were lined up for a couple of miles before the start lines, jostling for a good positioning and checking out the competition. Crossing the start line was an adrenaline rush as everyone went for it! There were surprisingly few mishaps and we were soon passing through Richmond Park, a part of my normal cycling commute to work. The sight of all the riders in the distance was phenomenal, and really helped keep the motivation levels up as there was a real feeling of camaraderie. By the time we reached Kingston, charity supporters were out on the side-lines in full force with deafening cheers coming from all different causes. The event in total must have raised a vast amount of money for hundreds of different charities, which is really something when you think about it like that. By the time we reached the country, I had fallen into a pack of 6, all strangers, but we were now cycling as a team checking each other were OK and shouting words of encouragement. Half way through this was a huge help as we hit the steepest climb of the route, a real lung buster but we made it. Our second time passing through Kingston on the way back into London the crowds had reached fever pitch! This was the home straight, but by this point every small incline felt really tough as our legs got heavier and heavier. The crowds at Westminster could be heard before you could even see them and my legs somehow kept going. I swung a left onto the Mall and there was the finish. I’d done it! And I’m pleased to say I would recommend it to anyone. And when I handed over my fundraising total to Shelter I knew it had all been worth it.